I made something this morning that reminded me of my all-time favorite Sporkful video, the ultimate grilled cheese. 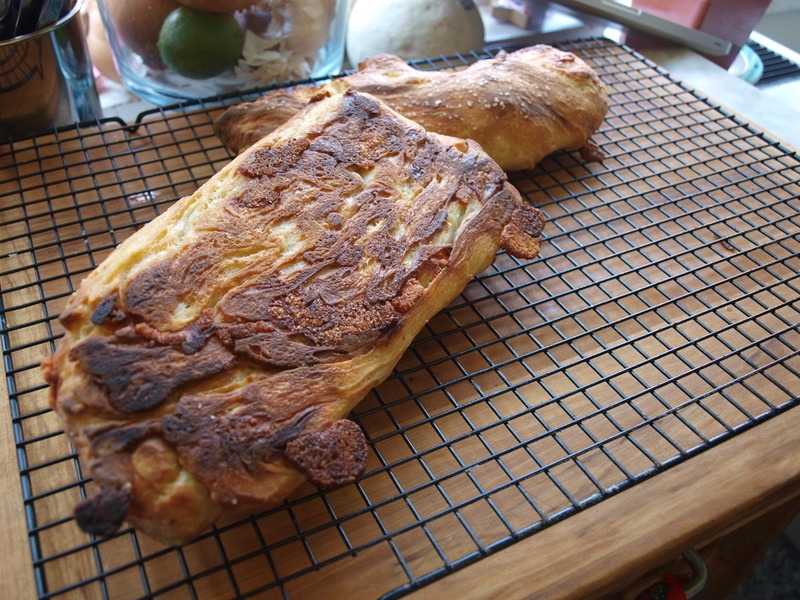 I made some Sullivan Street Bakery cheese bread, and all the pecorino melted through and basically crisped up on the bottom of the pan. Highly recommended.